No backyard barbecue is complete without winning BBQ recipes! Your grill takes center stage and the spotlight is on your BBQ. While there are lots of barbecue marinades and sauces available on the market, nothing beats a homemade recipe. Help yourself to these delectable recipes you can make your own! BBQ Recipes So Good You'll Be Firing Up The Grill ASAP! Ready your senses for this sweet and spicy sauce you can make with only a few ingredients–and an interesting one: pumpkin! Don't knock it til you've tried it! Cut down on sugar with this naturally sweet barbecue sauce. Fresh blueberries are the secret to this healthy BBQ sauce. This is the perfect BBQ sauce for those who like classic BBQ flavor in their sandwiches. It adds extra oomph and creaminess with each bite. The secret to some of the best-tasting BBQ out there is in the rub. Mix the ingredients, then rub and massage it all over the meat before smoking or throwing on the grill. This is mix of wonderful flavors from the smoky chicken BBQ, zesty lemon, crisp veggies, and nutty pistachios complement your grilled meat. Enjoy your summer salad! Healthy and yummy, this BBQ flavored side dish recipe will complement any meal. This makes one of the best BBQ sides for a crowd. Colorful, fresh and simply delicious. This healthy rainbow rice salad recipe is worth a spot in your recipe book. Vegans are welcome and sure to eat well at your barbecue with summer side dishes. Be prepared and make this easy vegan salad recipe. Serve this bite-size goodness at your next barbecue. This is also great for your kids' party! Don't throw out those broccoli stalks. Here's a great way you can turn it into an awesome BBQ side. A barbecue isn't complete without a side dish to complement. And nothing is more perfect than a creamy and healthy avocado potato salad. Grilled jalapeno poppers are simple yet so satisfying. Follow this recipe and make yourself some. Cheese fries at a barbecue? Why not! Grab your foil packs and start grilling these chips! Bring out the flavorful goodness of mushrooms. Marinate and grill them on skewers for a healthy BBQ dish. Never forget corn cobs for your barbecue. Try this recipe and you'll love grilled corn even more. Do you agree that everything is better with bacon? Turn onion rings into something amazing. Crispy sweet potato loaded with cheese and bacon makes a good side for a BBQ. See the recipe here and get cooking. Add variety to your BBQ burger recipes with this Korean BBQ. Here are also some different BBQ recipes to dress your burgers up. You'll surely love the beer marinade on this lamb skewer. The kicker in this recipe, though, is the delicious chimichurri sauce! What's a barbecue without beans? Make a classic side with your crockpot by following this recipe. Craving for some chicken kebabs? Make your own with this easy-to-follow recipe. Only 15 minutes of prep time in the morning and you'll have boneless ribs in time for an afternoon barbecue. What you'll have is a mouth-watering delight–the stuff of barbecue legend! Marinate your chicken breast with only three ingredients. You'll be surprised how awesome this chicken BBQ is. Why call for pizza when you can make your own? Try this BBQ chicken pizza and you won't order pizza out for some time. Add a little Korean flavor to your tacos with one of the easiest BBQ recipes. There are a dozen ingredients but it all comes together really quickly. You'll think twice before ordering Char Siu from your favorite Chinese restaurant again when you learn to make it at home. Make a special cheesy BBQ side dish with potatoes and bacon. You will need only 5 ingredients, and clean up is a breeze, too. Top flatbread with BBQ sauce, jalapeno, and chicken. It is almost like pizza, only with a healthier crust. This is a sweet and smoky chili recipe you'll want to make all year round Give it a try and you'll know why. Ever tried Chinese chicken barbecue in delectable buns? You'll be surprised how delicious and filling they are. Make this delicious quesadilla with only four ingredients. It doesn't get easier than that, but the taste won't disappoint. You've never tasted anything like this balsamic vinegar and BBQ flavor. Meatballs smothered in this mix will have you popping more than your fair share into your mouth. You can easily get addicted to these delicious BBQ appetizers. No worries, though. It's super healthy, with mushrooms as the main ingredient. This sweet and spicy flavored pizza is something pizza-lovers will approve of. It easy to prepare with instant pizza dough. A little BBQ seasoning will take care of the rest. Wouldn't it be nice if we can cook Chinese restaurant-style takeouts? Now you can try, and this Asian BBQ salmon salad is only the start. If ‘melt-in-your-mouth' didn't get you, I'm not sure what will. Imagine biting into this succulent meat falling off the bone–there's nothing like it. 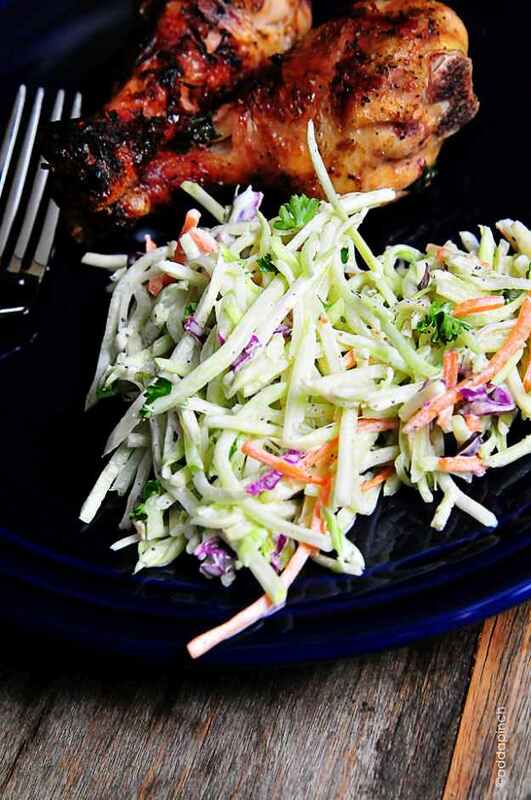 If you want something delicious and healthy make this super easy crockpot BBQ chicken recipe. The texture of quinoa might surprise you a bit, but the flavors of chicken barbecue will take you right back home. Make a kid-friendly, easy BBQ chicken recipe for your next party. I'm sure they'll love this finger-licking barbecue goodness. Have you ever tried BBQ pasta? Here's your chance to make it and enjoy it! Make the perfect BBQ beef brisket with this smoked recipe rendition. Savor a flavorful BBQ with a crisp exterior but soft and juicy inside. Make yourself some cornbread with barbecue chicken. It's a filling and super delicious BBQ recipe you can bake. It's also a complete meal in one dish for lazy weeknight dinner. Render some pork meat moist and tender in the slow cooker. Season with a good BBQ sauce and serve it a bun. What you have is this mouth-watering BBQ pulled pork sandwich to go! Have 15 minutes? Then you can make this easy BBQ shrimp recipe. Fresh or frozen is fine, because you're guaranteed succulent seafood goodness! A BBQ meatloaf recipe to make dinner easy and stress-free deserves a spot here. Not a fan of meatloaf? You will be with this smokey BBQ sauce smothering the loaf. BBQ is an all American classic recipe but it won't hurt to give it an Asian twist. For chicken barbecue, the sweet and spicy Sriracha seasoning couldn't be any more perfect. There you go, DIY foodies! Delicious restaurant-quality BBQ recipes you can whip up on your own. Now you have a whole lineup of BBQ recipes to choose from. Try each and every one of these BBQ recipes and find out which ones will be your menu mainstay! Which of these BBQ recipes will make it to your menu for this summer's BBQ? We would be delighted to find out about it from your comments below! Editor’s Note – This post was originally published in April 2017 and has been updated for quality and relevancy. What a fun surprise to find our recipe here! Thanks for including us 🙂 Don’t toss those scraps!